Customers can avail from us this Natural Organic Amino Acid with the range 80 Percent is a 100 % natural organic compound. The offered acid is completely soluble in water and is specifically used for development of the root part of the plant. Basically it is instrumental in the overall growth of plants. 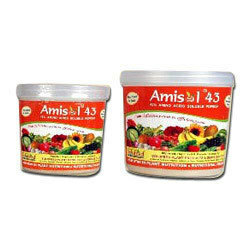 Amino acid helps the plants to bear environmental stress. Customers are avail this at affordable price. Our company holds immense expertise in the manufacturing of this range of Amino Acid Chelated Micronutrients that is completely organic and is easily soluble in water. It is specifically used for root development and can be availed to the customers at the most comprehensive and industry leading prices. This acid also protects the plants from other harmful conditions. 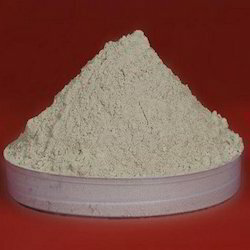 We have emerged as a reputed supplier of wide range of Non- Toxic Amino Acid with have range of 50 Percent. 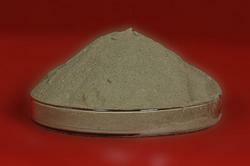 The offered chemical powder range has been processed using best ingredients. We avail this range in powdered form. Customer avail this range from us in order to enhance the production of their crops and keep them safe from other harms. The amino acid also keeps the nutrients of the soil intact. Customers can easily avail from us a comprehensive range of Protein Hydrolysed Amino Acid with having range of 43 Percent. This range consist of a consistent composition of protein hydrolysed 17-18 free amino acids that have been derived from naturally available organic substances of plant origin. Our range of this acid is 43% amino acid product and is non toxic. It is a 100% natural organic compound and is a major part of the organic farming. Looking for Amino Acid Powder ?